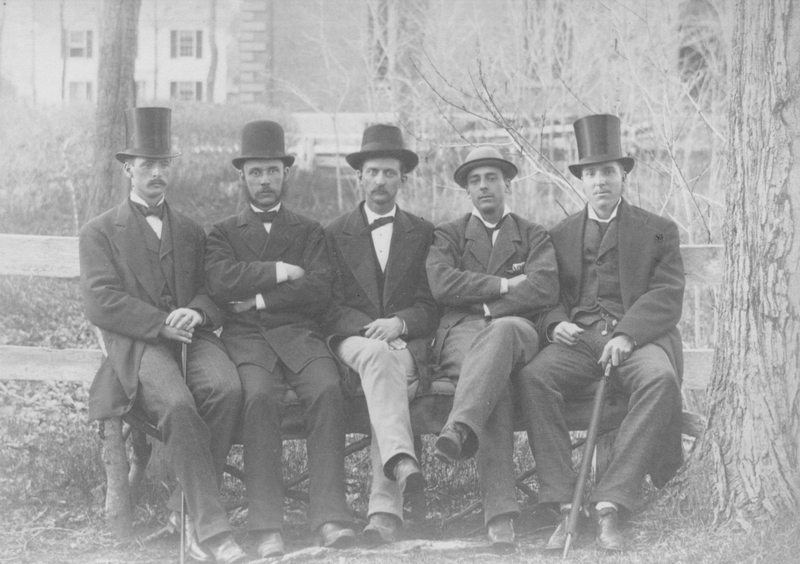 Class of 1876 "Honor Men"
Group portrait of the five "Honor Men" of the Bowdoin class of 1876 seated on the steps of Winthrop Hall. The honors were conferred by vote of the class and made public on Ivy Day. Left to right: Sanford "Popular Man", Clark "a shade", Evans "Homely Man", Alden "Handsome Man", Stevens "best moustache".